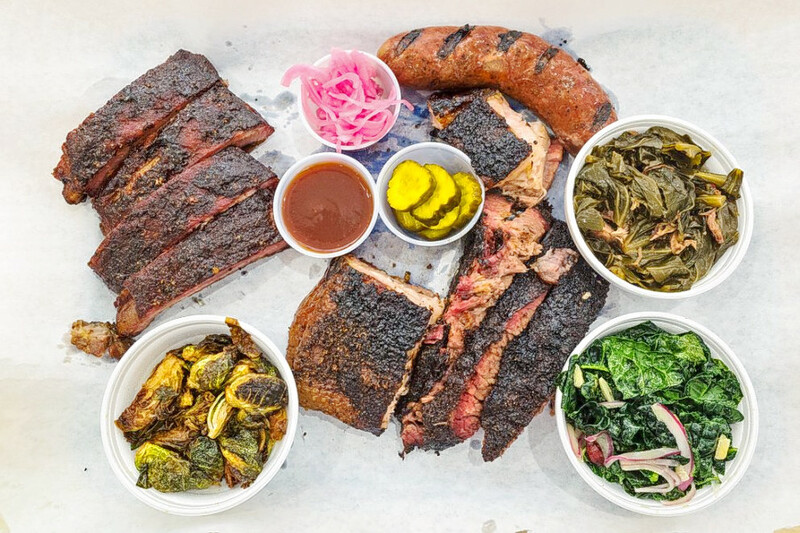 If you've got brisket on the brain but no regular go-to, you're in luck: we've found the freshest Houston smokehouses to quell your cravings. Here are the newest places to check out the next time you're in the mood for some Texas-style barbecue. Cypress Trail Hideout is a bar and smokehouse offering traditional Texas barbecue, craft beer and more, as we previously reported. In addition to on-site dining, Cypress Trail Hideout provides catering for special occasions. Yelp users are still warming up to Cypress Trail Hideout, which currently holds 3.5 stars out of 33 reviews on the site. 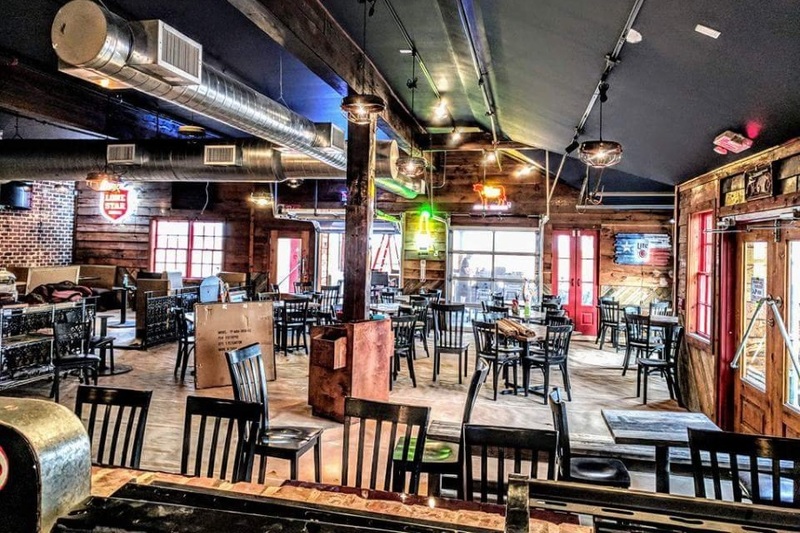 Yelper Derek D., who reviewed Cypress Trail Hideout on May 11, wrote, "Sausage definitely on the spicy side. Our server told us it is made for them in Taylor, TX. Brisket was moist, good smoke." But Boyd S. complained of the value: "Plate serving size vs. price point is a ridiculous ripoff." Feges BBQ is a barbecue and sandwich spot serving brunch and lunch from its location in Greenway Plaza. The brainchild of married couple Patrick Feges and Erin Smith, it specializes in upscale Texas barbecue and a variety of signature sides, as we reported in March. The barbecue offerings, including brisket, pork ribs and house-made sausage, are sold by the half pound, as well as in full meals. The full plates come with customers' choice of side dishes such as loaded potato salad, roasted eggplant with mint and Moroccan spiced carrots. Yelp users are excited about Feges BBQ, which currently holds 4.5 stars out of 19 reviews on the site. Yelper Joanna M., who reviewed Feges BBQ on March 24 and has visited several times since, wrote, "The brisket was so good, seasoned perfectly! Smoked turkey was extremely moist and sausage was full of flavor." "The sides were really unique and definitely beyond the usual BBQ side offerings," Jackie K. noted. "Though topped with butter, the cornbread was a little dry, but the Moroccan spiced carrots were excellent -- so good!" 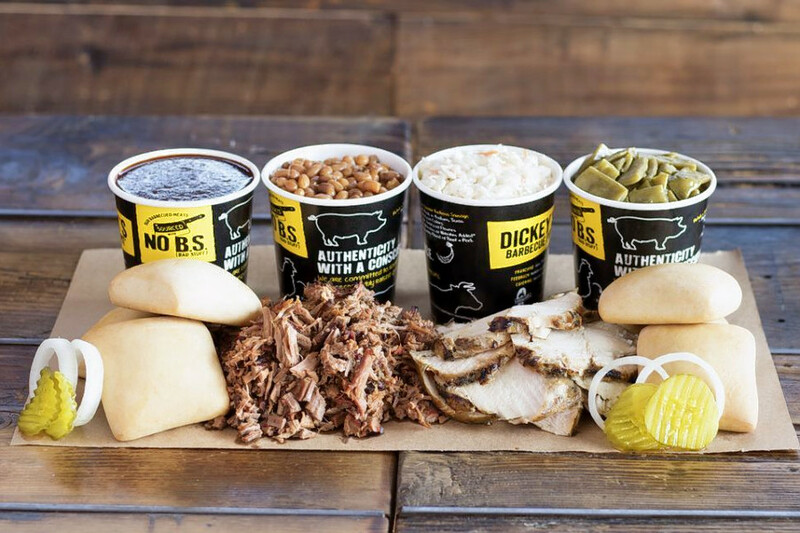 Popular national chain Dickey's Barbecue Pit has expanded to 12 locations in Houston, with a new outpost at 9440 Shady Drive, as we recently reported. Dickey's Barbecue Pit's current rating of three stars out of two reviews on Yelp indicates the Shady Drive location is finding its way, but it's still early days. "The employees are awesome. Cordial and greeted us with genuine smiles," wrote Yelper Tai M., who was the first to review Dickey's Barbecue Pit on April 30. "The pitmasters know their trade! Food is smoked, not baked and then smoked. The rib bones are soft and can be bitten into. The meat is succulent and the flavor of the rub is perfect." Dickey's Barbecue Pit is open from 11 a.m.-9 p.m. daily. 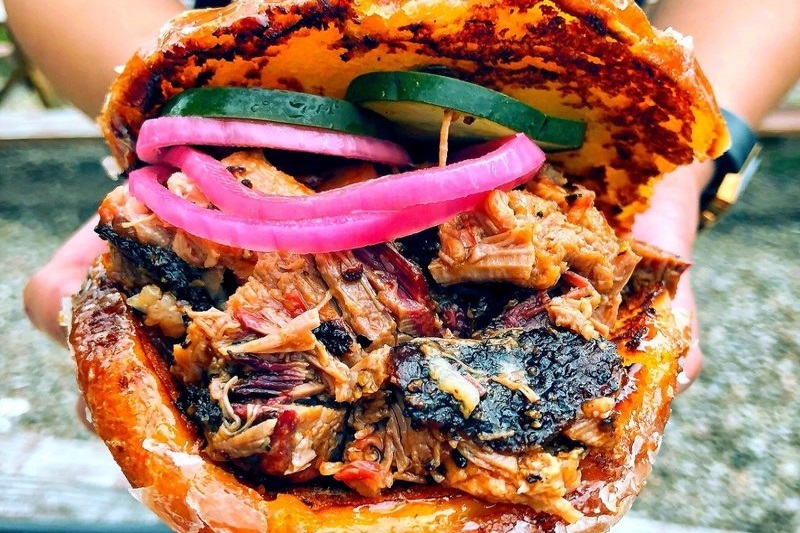 Last but certainly not least, Willow's Texas BBQ is a food truck now offering its signature barbecue creations from a semi-permanent location outside Big Star Bar at 1005 W. 19th St. in the Heights, as we reported back in February. 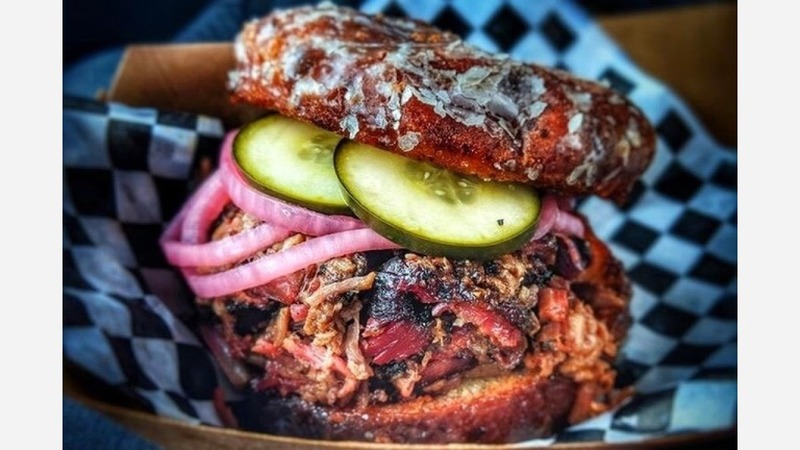 On the menu, diners can expect to find creative dishes like the Brisket Hug: roughly chopped brisket with sauce and pickled onions, sandwiched inside a halved jalapeno cheese doughnut. Willow's also offers more standard plates with up to four barbecued meats like brisket, pork ribs, pulled pork or sausage, served with a choice of two sides. Yelp users are excited about Willow's Texas BBQ, which currently holds five stars out of 24 reviews on the site. Yelper Imelda B., who reviewed Willow's Texas BBQ on April 6, called it, "My new favorite barbecue in town, even the sides were so good!" And Cuong T. said of the Brisket Hug, "Glazed doughnut with chopped brisket and pickles and onions made for an absolutely delicious sandwich. Doughnut was only slightly sweet and overall ... man, my mouth is watering just remembering it."